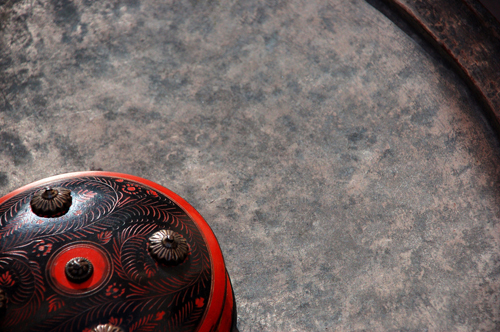 Travel back in time and find luxury, a combination of history and modern design at it's best. Spacious comfortable suites make one feel at home. The hotel service makes one feel being special. 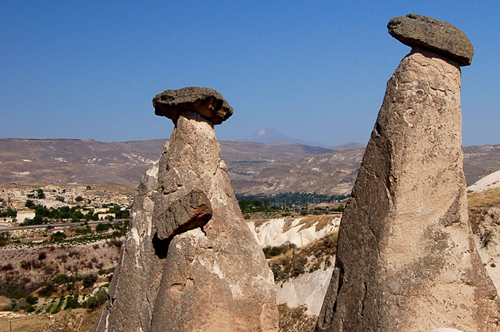 Cappadocia makes one being transferred into another world. Surrounded by the flair of lived history, the suites are designed and decorated stylish and elegant, a special combination all for the comfort of our guests. 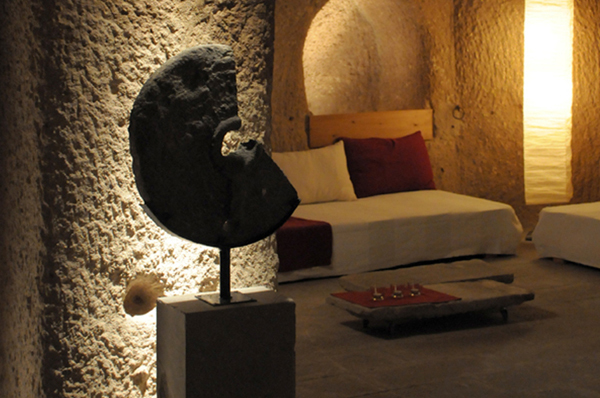 The three suites have living room and kitchen, spacious bedrooms and unusual bathrooms, either in caves or traditional vaulted rooms. The private terrace guarantees privacy and marvelous views. 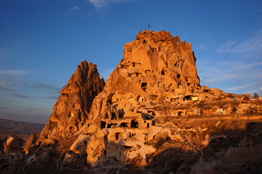 Cappadocia is very well known for its unusual landscapes, breathtaking views and traditional Cave Houses. 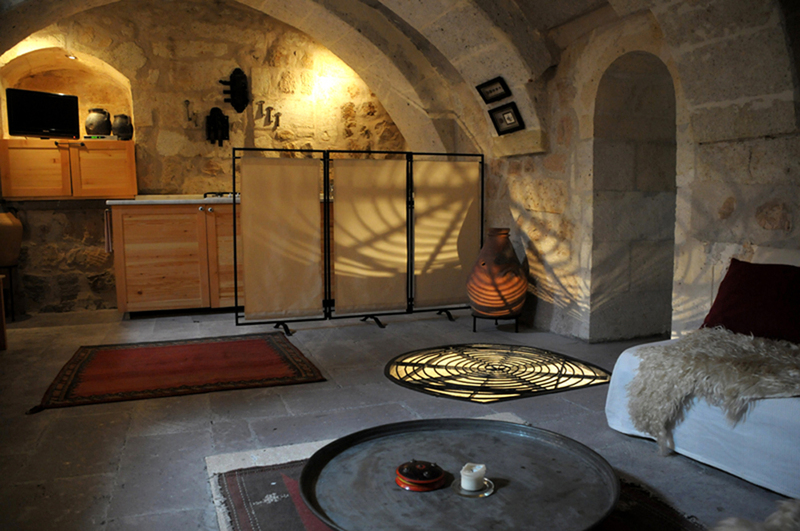 To stay in one of those houses in an ancient Cappadocian village, surrounded by Fairy Chimneys and a dramatic view to the amazing rock formations makes your holidays being an unforgettable experience, romantic and adventurous at the same time. 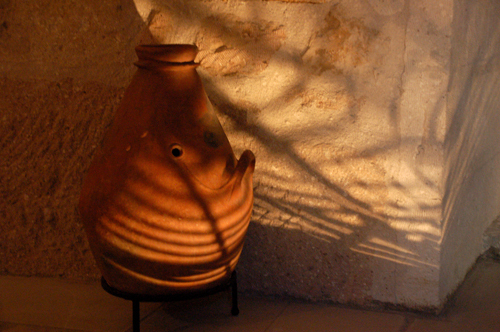 More than 150 years old, ASMALI CAVE HOUSE was nicely restored, all with the aim to keep its unique originality. The traditional settings in the vaulted rooms as well as the details in the large cave rooms do all have their own history, from an ancient wine press to an underground hiding place in a dark dwelling. as such, the breakfast is prepaired in the suites to guarantee the flexibility and an enjoyable start of each day. 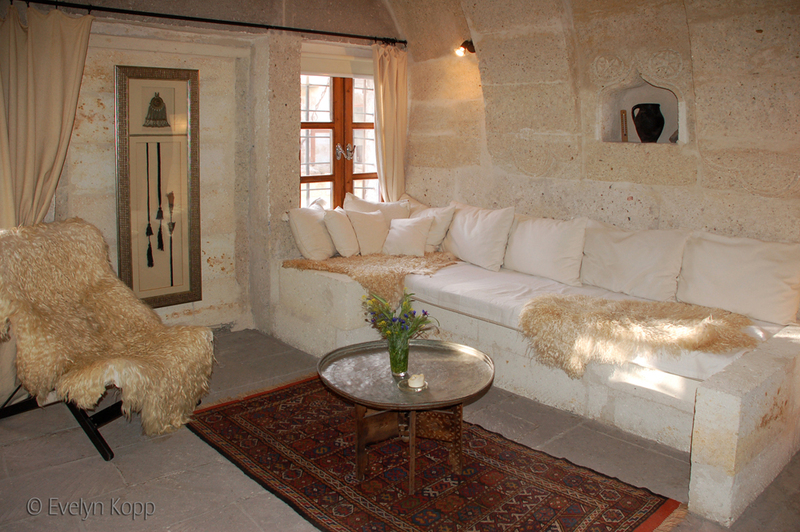 There is wireless internet and TV in the rooms and for the guests from foreign countries we provide mobile phones for them to be able to reach us any time from the rooms or even while beeing on tour in the beautiful valleys of Cappadocia. As a small hotel we still have the time for our guests. Point out the best places to see according to the day's plans or an advice for a good restaurant to one's taste is our pleasure. Families with children, hiking fans with interest of small adventures, amateur photographers on photo tour as well as hobby-historians, but also guests seeking relaxation and inspiration, will find what they were looking for. See a different small world, still full of history and traditions, characterized by friendly and hospitable people living in an unspoiled village in the heart of Cappadocia. Churches and monasteries hidden in caves, beautiful valleys and rock formations - nature and a breaze of adventure für the curious explorer. You have an amazing hotel. It was a home away from home. It is very comfortable. I also enjoyed my time here in Cappadocia. Thank you so much for your wonderful guidance about the town. Cappadocia is lucky to have such a person with great spirit and passion. Wether for individual travelling amateur photographers or for members of planned photo tours - Cappadocia's beauty is the ideal spot. Marvelous views, unusual valleys and formations, people and architecture. For more, please contact us directly. If you would like to learn more about our latest News contact us. 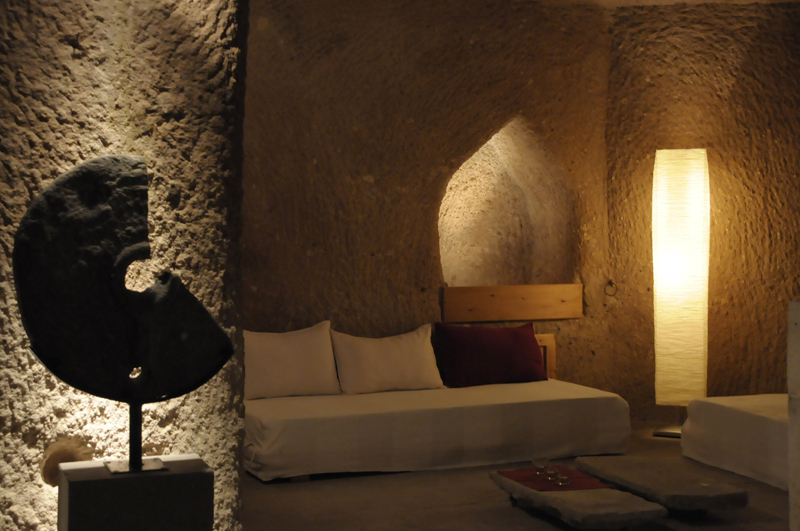 The advanture Mazata, the underground city in Cappadocia for brave visitors only. 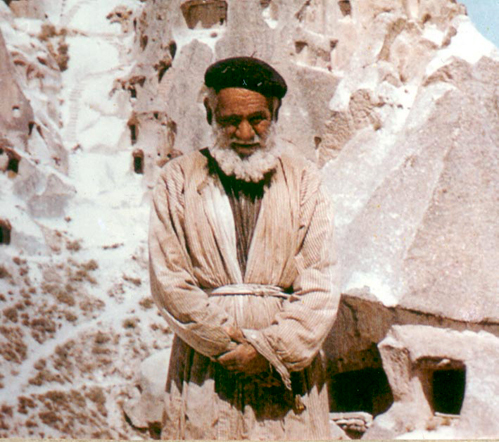 Childhood memories and stories from the eldest of Uçhisar and Cappadocia. See old photos and read about their past lives. There are happy as well as sad stories and maybe sometimes, with the passage of time, truth and fiction melt into one another. 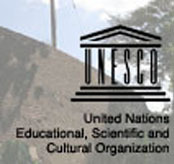 In 1985 Göreme National Park and six other rock sites of Cappadocia were recognised by UNESCO as one of the world's spectacular natural and cultural site and added to the World Heritage List.